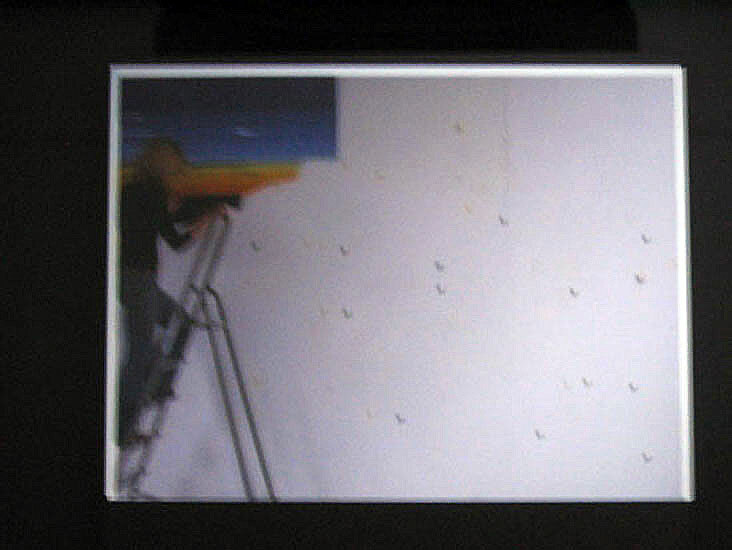 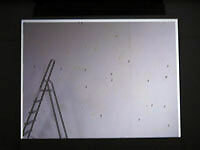 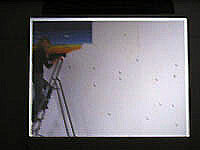 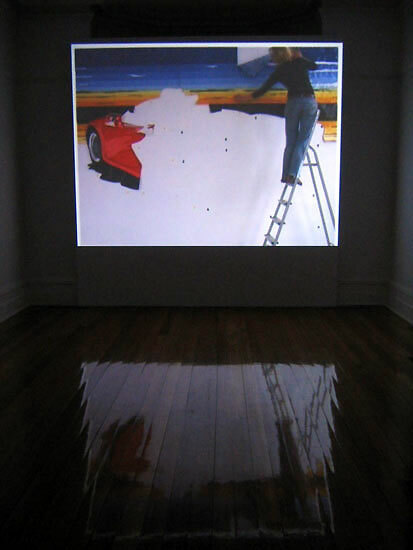 Up She Goes is a 4-minute video loop where the hanging of a large collage work (in pieces) is reversed and sped up, with sound added. It is mesmerising and annoying at the same time, as it is unclear as to what is actually happening. 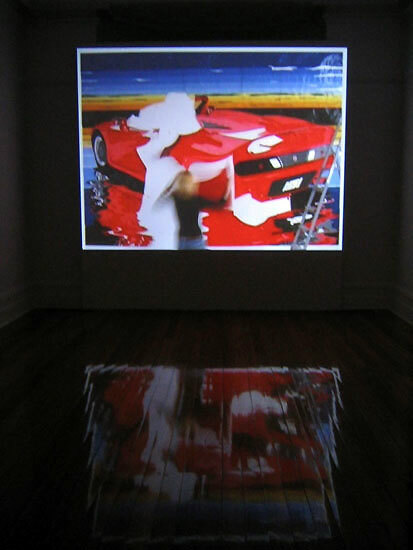 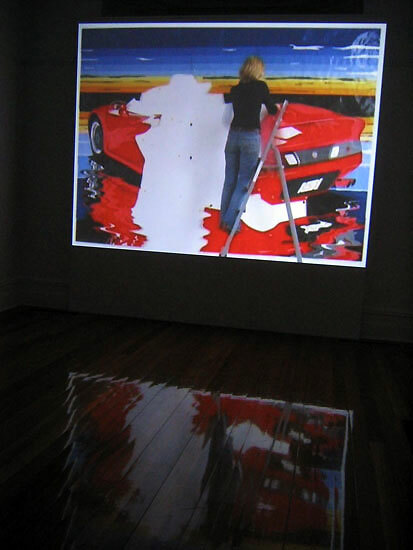 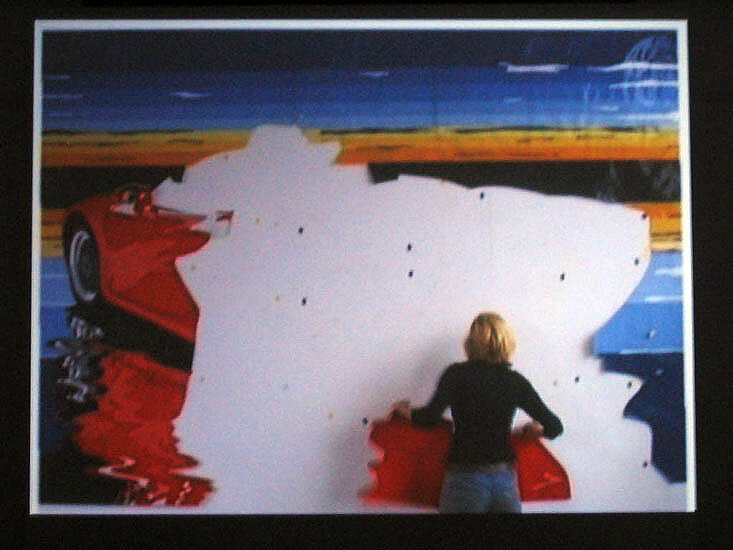 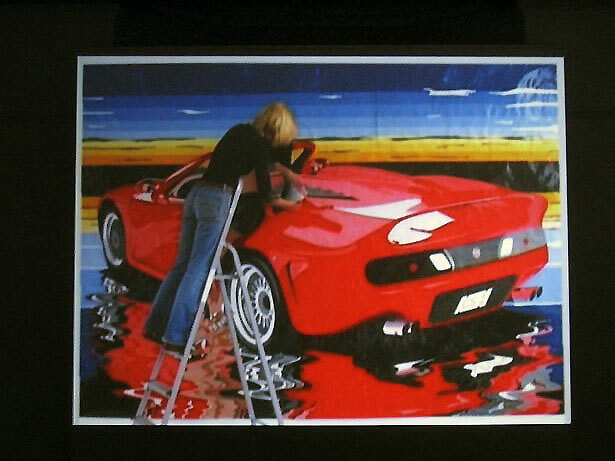 This work came about during a residency in Rotterdam where I created the Classic Shazzy series of car/girl collages.